…and the other World Cup: Fencing! 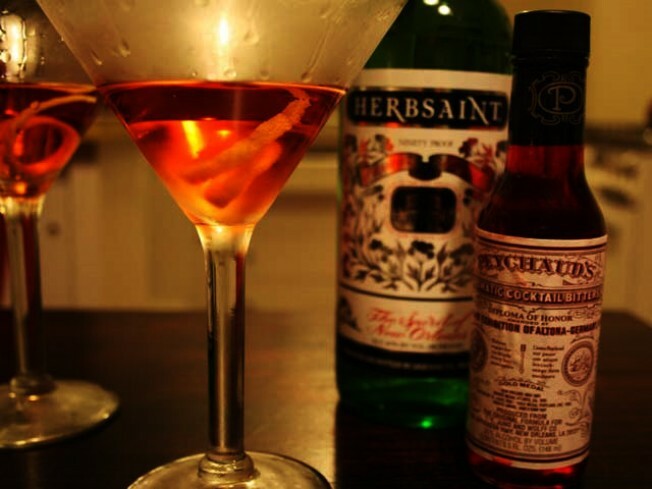 Sazeracs and more: Get schooled at the New Orleans Cocktail Hour. BOTTOMS UP: New Orleans earned its Big Easy nickname because it was one of the easiest places in America to get a drink during prohibition—lore even holds the word “cocktail” was coined here. Myth or no, NOLA has a storied drinking rep and a rich recipe book to match: Learn how to make classic tipples like Sazeracs and Hurricanes, and pair them with equally classic eats, from the muffaletta to beignets at the AstorCenter’s New Orleans Cocktail Hour at 6:30PM. THRUST: If you think soccer lacks a certain je ne sais quoi (swords, parrying, ripostes) then skip the broadcast from South Africa in favor of the Fencing World Cup, kicking off today at the Brooklyn Marriott just over the bridge. The planet’s greats will square off as Beijing medalists Keeth and Erinn Smart provide analysis; winners advance to the World Championships in Paris this November. Friday-Sunday, schedule varies; check Fencers Club for info. RAZZLE DAZZLE: We consider this the official kickoff of the summer pyrotechnics season in NYC: Starting tonight, Friday Night Fireworks returns to Coney Island. Come for the new rides at LunaPark, stay for sparklers and salutes filling the sky over the boardwalk a little past sunset. 9:30PM.